Kingston Times: Mayor or Manager? 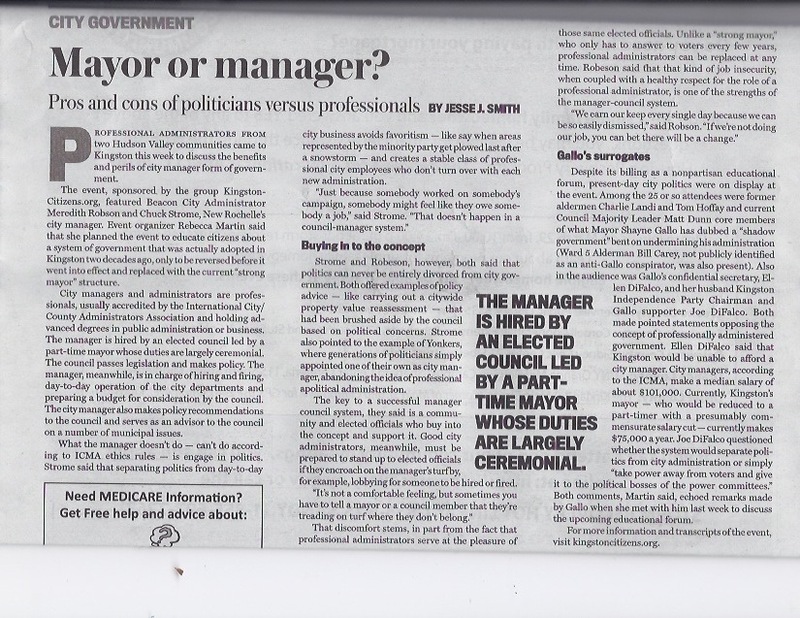 – An excerpt from “Mayor or Manager” in the Kingston Times this week by Jesse Smith. HOLD THE DATE! “Exploring the Role of Kingston’s Common Council” on May 28th.